I recently wrote about my belief that a smile is one of the best assets in social life, health and business life. And the better your smile, the more it can do for you. One lesser known fact is that every decade you age, your teeth lose whiteness by 2-3 shades. Your teeth actually age you more than your face does! Now it begs the question - What is the best way to get a brighter smile? I know that there are the natural ways to get whiter teeth. For instance, I've heard of natural methods like, coal powder, orange peel, salt, oils, and even egg shells. And I don't fault them, have even tried some myself. But I would just like a quick, easy, and effective way to get my best smile. 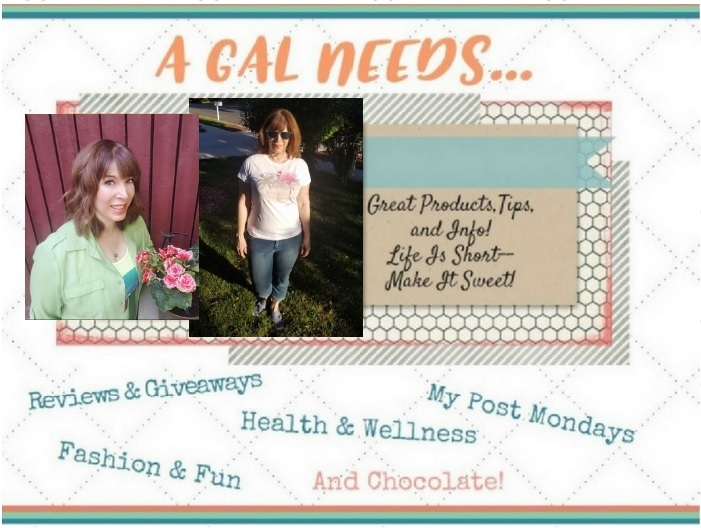 I was introduced to and provided products from a professional tooth whitening company that is as professional as professional can be, but for a fraction of the cost. It's called Smile Brilliant. 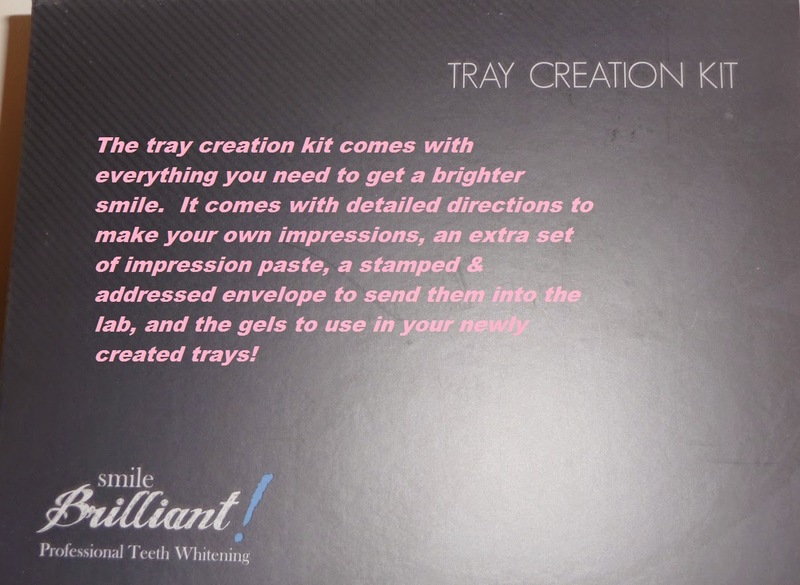 Instead of taking a trip to the dentist to get trays made and buying the whitening solution from the dentist, you purchase the kit online, take the impressions yourself, send them into the lab and they send back the completed trays along with the whitening paste. It saves time and money to do it this way. I must say I was the ultimate procrastinator, though, because I had the notion that only trained dental assistants are qualified to make the impressions, not someone like myself, who has never taken a dental class in my life. I didn't know if I would be able to make a good impression of my own teeth. But I really needed to make it happen and finally one evening I set aside an hour to do just that. I read through the detailed instructions included in the kit and was able to make my impressions. Luckily they do provide you with an extra ball of clay in case you make a boo boo with the first try, which I did. I sent in my impressions and they came back very quickly, within a week! I then started the whitening process, using their highly effective whitening gel. My teeth responded very quickly. I only did three 15-minute sessions and they whitened up about 3 levels. I was really impressed. There is an after-whitening gel, which in addition to de-sensitizing your teeth, seals up any tiny crevices or cracks in your teeth to keep the enamel from breaking down. It's just extra service they provide with the regular whitening process! I highly recommend using this because it really helps with the comfort and effectiveness of the overall process! This experience came in a timely fashion because I was noticing that my teeth had some yellowing issues and more often than not, you would find me with my mouth closed, to avoid showing my teeth. I'd still smile, just without the dingy yellows showing. Now I'm not ashamed to show my pearly whites, and I can practice what I preach about the art of smiling! 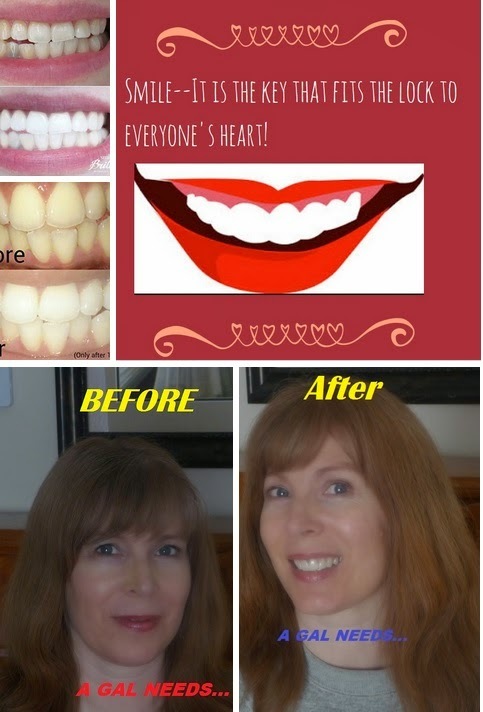 Make sure and check out the Smile Brilliant Website, for lots more information and testimonials along with before and after photos. I've never used (or really needed) a whitener, but happy husband is a long-time smoker and he needs it desperately. I'm showing him this article! I have too many fake teeth to use a whitener. It is cool that you make the impressions. Ha Ha, just make sure your dentist puts in some white implants and I guess you're good to go! I've been looking for a whitening system for a while. This looks great! I hope I get the opportunity to try this out! Thanks so much!! I would like whiter teeth because I think it would make me look younger.